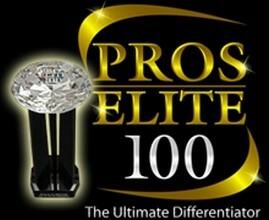 As an award winning Pros Elite 100 company, Image Solutions is acknowledged for upholding business integrity, both in customer service and in professional practice. We are experts in providing custom regulatory compliance solutions. Our awareness and experience with legislation and regulatory practices affecting various professional and business sectors enables us to assist organizations of all types and sizes with their regulatory compliance. Image Solutions specializes in providing consultation and solutions which enforce key professional standards and legislation, such as HIPAA, Sarbanes-Oxley and OSHA. We can assist hospitals and healthcare centers to optimize their operational and administrative environments to be HIPAA compliant for secure patient data and billing management. Solutions are customized to individual requirements, and can range from information management systems and data archiving to data communication systems such as fax. Our solutions ensure maximum information security and we offer staff training and on-call support beyond implementation. Image Solutions is able to offer comprehensive solutions and services to financial organizations that seek to install Sarbanes-Oxley practices. We can implement secure document management systems for archiving, sharing and disposing financial records in full compliance with the Sarbanes-Oxley Act, as well as sophisticated features to facilitate auditing. Image Solutions are also able to assist with independent auditing, allowing organizations to maintain business integrity with assurance. Our experience with all sizes of organizations enables us to provide scalable and business-specific OSHA compliant solutions for secure employee record administration. We will evaluate requirements as well as offer expert consultation on OSHA compliance before constructing appropriate solutions, such as secure employee management systems as well as ensuring all IT equipment adhere to occupational health and safety standards for your employees. Image Solutions addresses legislative compliance matters ranging from data protection, to transaction logging and auditing. For further information on solutions and services from Image Solutions for regulatory compliance, please contact us for an initial consultation.